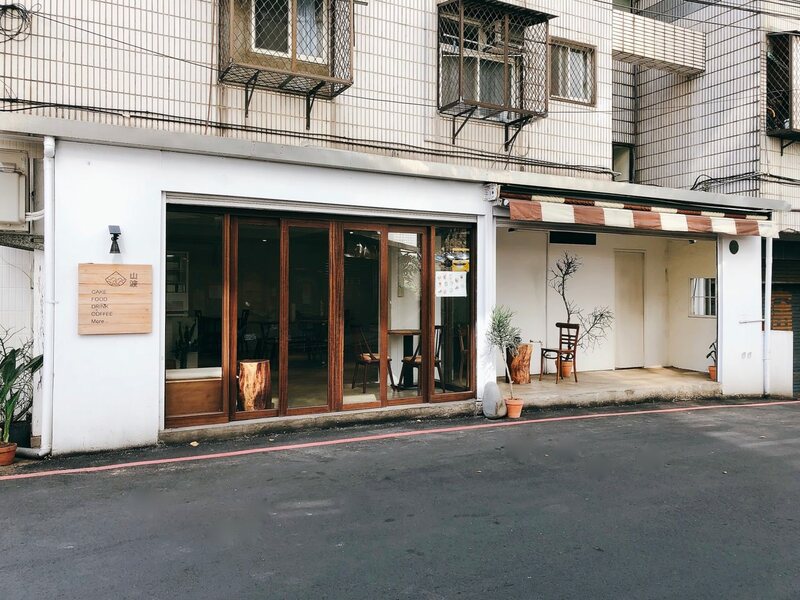 最近去了一家名為 “山波 Simple” 甜點店, 雖然山波Simple交通不方便, 仍舊是許多人心目中的淡水甜點下午茶推薦名單之一. 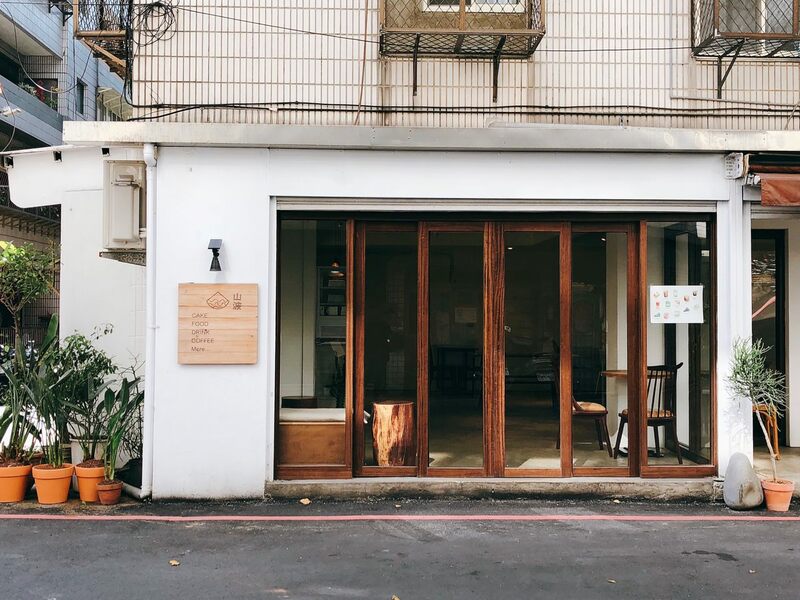 Simple Dessert Shop is one of Tamsui Dessert Shops. 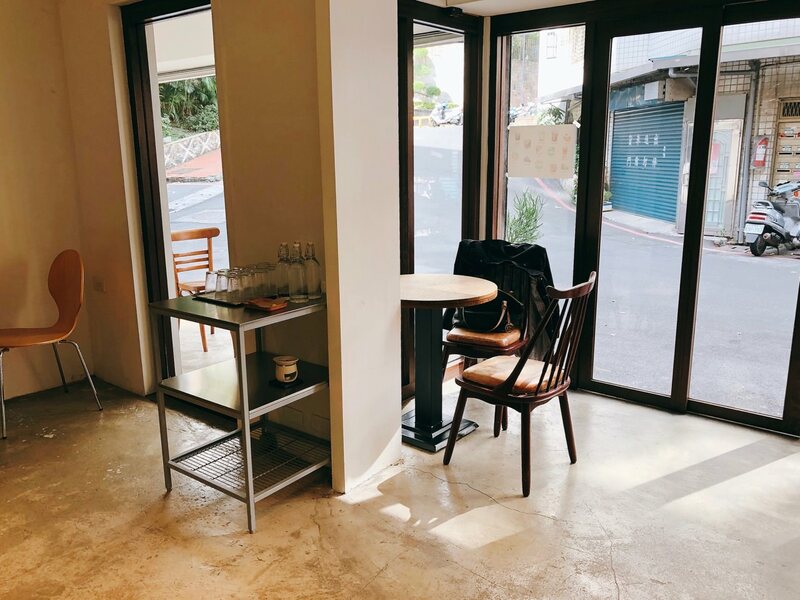 However, Simple Dessert Shop is quite far away from public transportation. 2017 新開幕的山波 Simple 位於淡水半山腰, 若是從淡水捷運站出發, 可以搭較常見紅 38公車和紅36公車在真理大學新民街校門下車即可, 也可搭淡水紅26 公車到紅毛城再走上坡, 兩種交通方式皆需要時間且相當容易迷路, 我會建議直接從淡水捷運站坐 Taxi, 而且記得要拿著你的 Google Map, 因為有些淡水司機並不知道 “山波 Simple” 甜點店的方向. 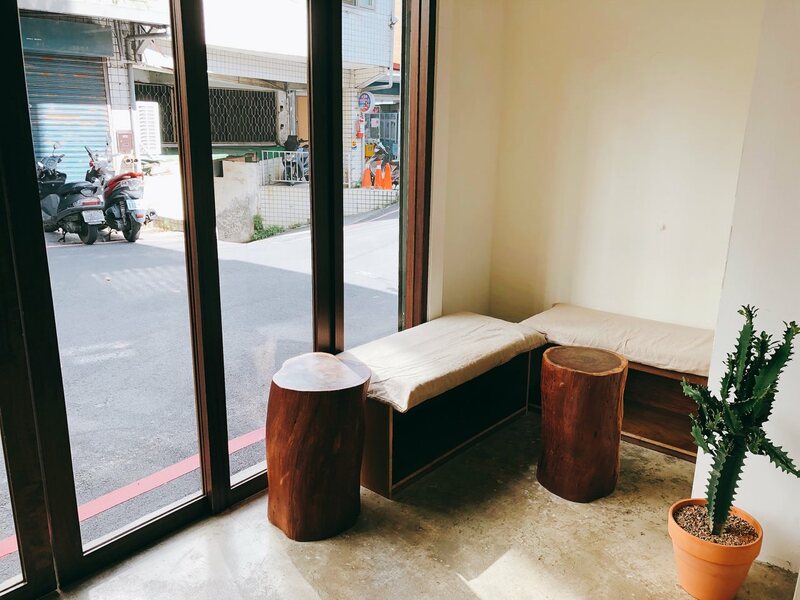 The 2017 newly-opened Simple Dessert is actually located at the hill of Tamsui District. You can take Red 38 and Red 36 Bus to arrive at Aletheia University. Or you can take Red 26 bus to arrive at Fortress San Domingo and walk uphill. However, both ways are difficult and easy to get lost. 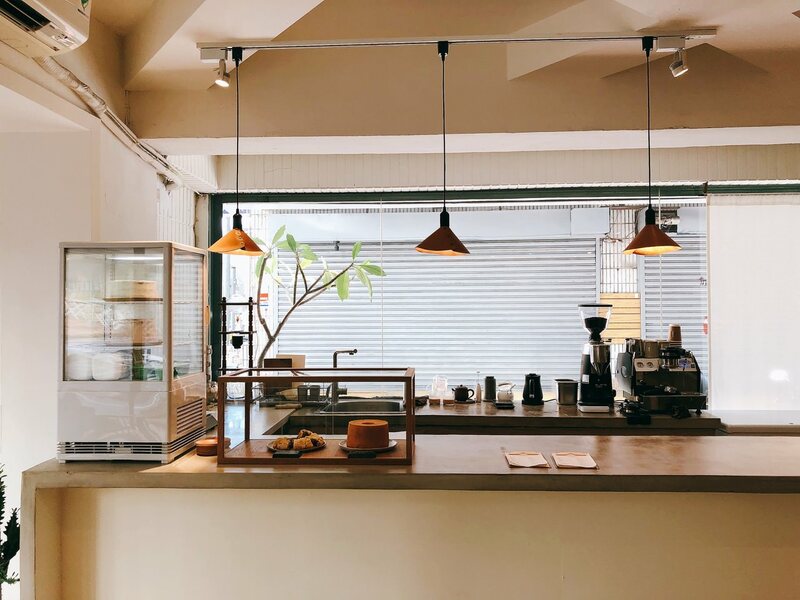 I would suggest to take the taxi to go to Simple Dessert Shop. 那天和朋友相約在山波 Simple 相見, 甜點店位於安靜的淡水巷弄內, 招牌跟 “Men Biyori 麵日和”一樣皆是低調木質系色調, 店內裝潢並沒有網美店的乾燥花或是飽滿色調, 從桌椅擺設方式, 可看得出來店家秉持著簡單樸實的經營理念, 文末影片有更多細節, 水與餐具皆自助, 在等待朋友的同時, 得知山波 Simple 店內每人低消一杯飲料, 雖然是不限時咖啡甜點店, 但不能預訂座位也不提供 Wifi, 菜單上的甜點並不是每天都有, 開始營業時會將沒有的品項用鉛筆劃掉, 山波 Simple當然也有每日甜點. 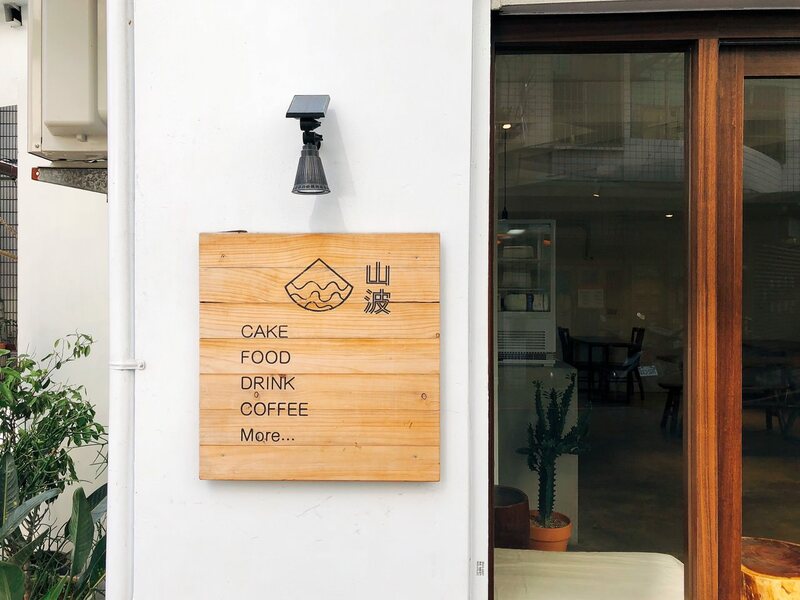 The dessert shop’s sign is wooden color, just like at “Men Biyori Restaurant”. The indoor design is also simple without dried flower. There are more details at the video at the end of article. 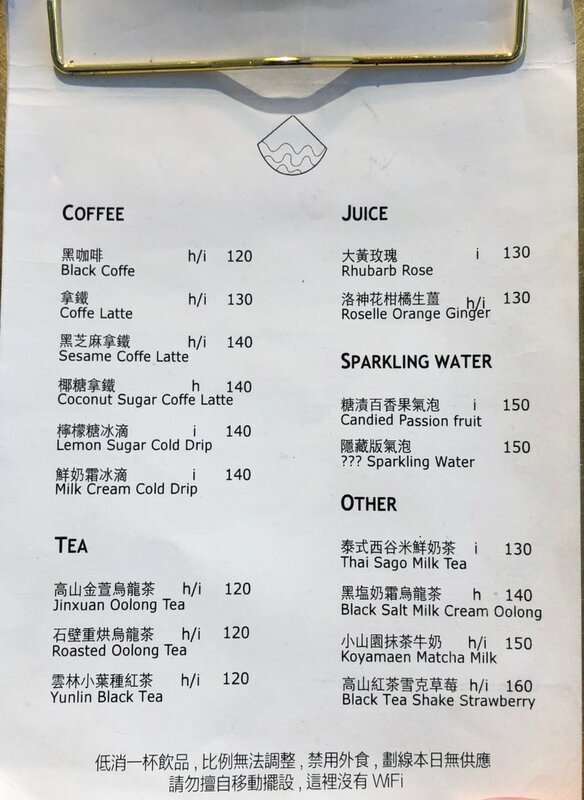 The minimum charge is one drink. Even though this shop has unlimited time policy, it doesn’t offer wifi nor reservation. 我相當好奇 “用羊奶製成的焦糖” 是怎樣的特殊風味, 山波 Simple的羊焦糖戚風蛋糕甜點與 “直物文具 Café” 蛋糕形狀有點相似, 刻意先挑尚未沾到鮮奶油的戚風蛋糕的側邊品嚐, 蛋糕口感相當柔軟且微濕潤, 原本以為羊奶焦糖醬只有在鮮奶油表層, 但其實也深藏不露在蛋糕內裡. 我會建議戚風蛋糕連同羊奶焦糖醬和鮮奶油一併入口, 味蕾可感受到鹹甜風味並存的特殊奶香風味. 我推薦這一款蛋糕. The appearance of this dessert is similar with “Plain Stationary”’s cake. 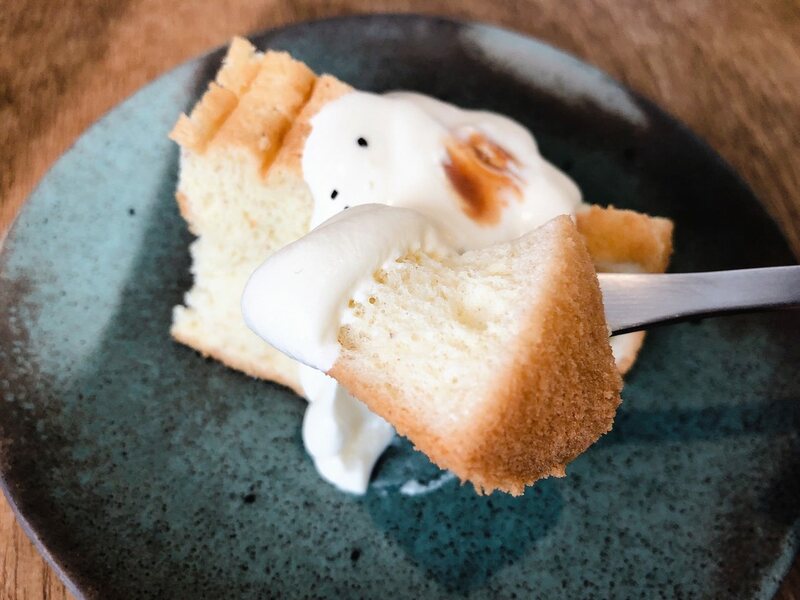 I tasted the chiffon cake without any cream nor caramel. 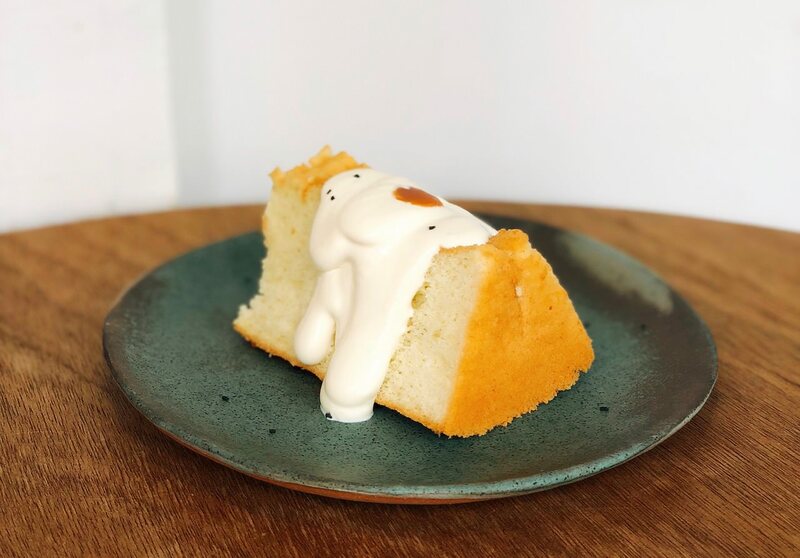 The softness and moist level of the chiffon cake surprise me.There are fair amount of caramel at the appearance and also inside the chiffon cake. 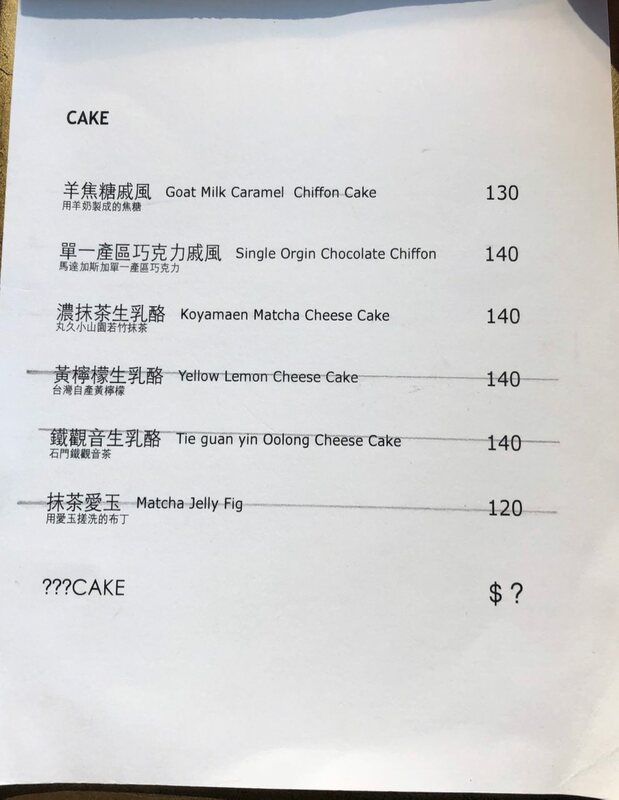 I would suggest to eat all three ingredients – goat milk caramel, chiffon cake and cream together. So, the tastebuds can sense the salty, sweet, and special milky flavor. I would recommend this dessert. 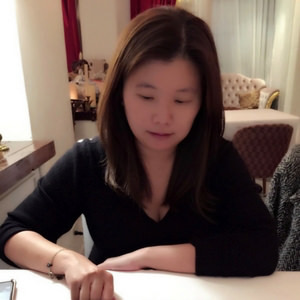 這款咖啡視覺美感十足, 象牙白奶霜與深度黑咖啡形成強烈的對比,山波 Simple店員告知這款飲料並不建議用吸管喝, 而是直接將奶霜與咖啡一起入口, 才能感受到奶霜甜和咖啡香, 細緻奶霜更是深得人心. 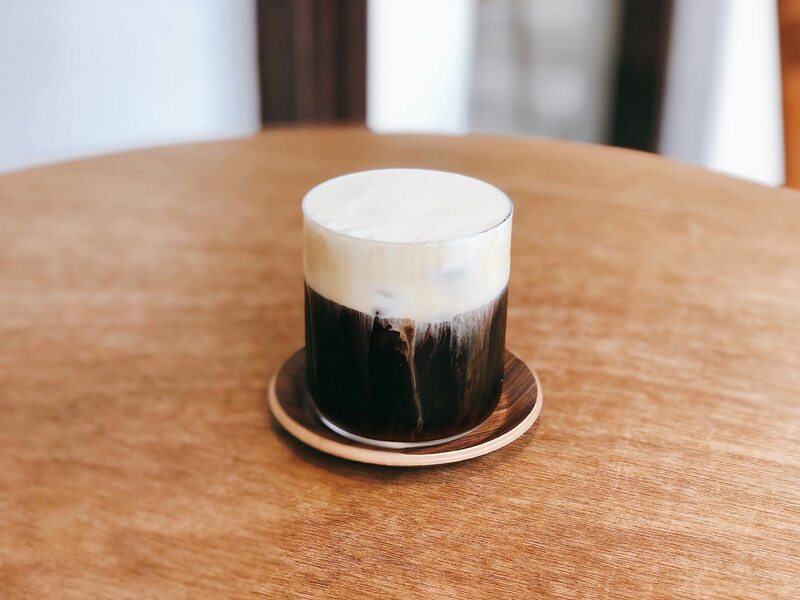 The ivory white and black coffee visual image is quite beautiful. 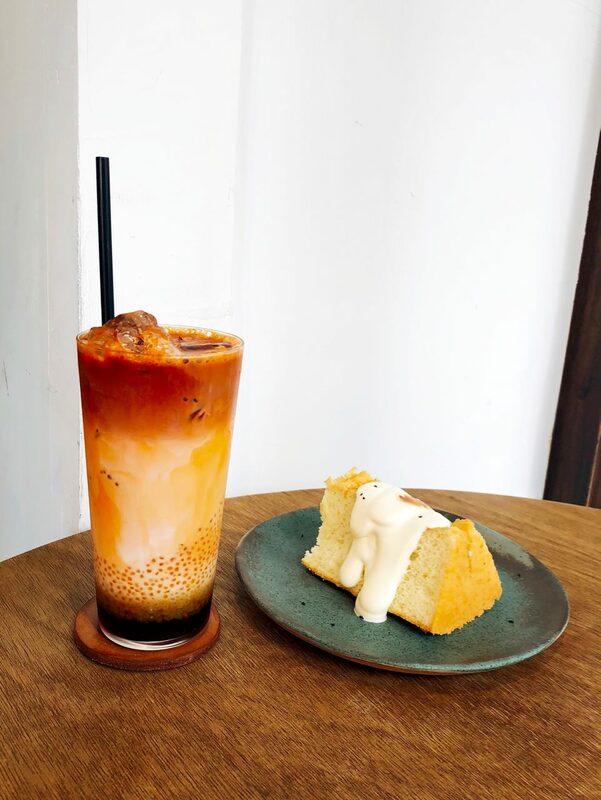 The staff suggested to drink the cream with the cold drip coffee together. You can sense the sweet silky cream and coffee aroma at the same time. My friend ordered this. But I didn’t drink it though.